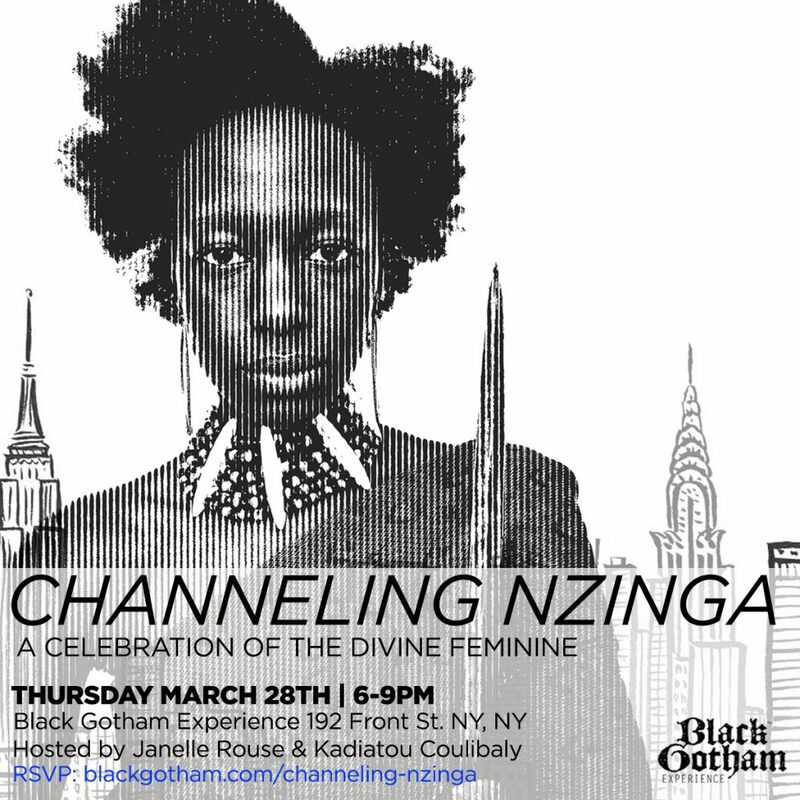 Join us Thursday March 28th for Channeling Nzinga: a celebration of the Divine Feminine. Queen Nzinga of Angola is a prominent figure in our Other Side of Wall Street Walk, that honors this woman who is considered the greatest recorded warrior queen. We are channeling her strong Divine Feminine Energy and her Warrior Spirit in honor of Women’s History month. That energy will be channeled with a conversation of women artists and creatives who manifest that same spirit through their work and for their people.